Welcome to JJ-365 Salutes. Over 2018, we pay tribute daily to one of “The Good Ones”. Today we are shining the light on Boyd Kozak. Boyd retired, after 60 years on the radio just a few weeks back. Tony Mario Mariani and a number of folks suggested him as a 365’er and they were quite right in that this fellow is truly one of the good ones. He has owned the Winnipeg radio market for decades. A complete legend who all the while continued to be ‘down to earth’ and giving to his vast radio audiences, co-workers, family and friends, and community organizations. I knew about him before I went to the Winnipeg market to do afternoon drive for Steve Young at CITI-FM. That’s because in one of our long chats about everything, I asked Steve who the important broadcasters were in the ‘Peg. Boyd Kozak’s name came up instantly and Steve filled me in. When Steve hired me, Boyd was at the top of the list of folks I needed to meet. We were at many functions and sports events together over my time there and that’s where I got to say hi and witness in person, the warmth that everyone told me about. I don’t profess to know Boyd well, but I sure know about him, and appreciate and respect him. Borys P. Kozak was raised in Wadena, Saskatchewan. I don’t know what was in the water there because a number of strong broadcasters came out of there like Pamela Wallin, Bob (Wash) Washington and Barry Bowman. Like most of us growing up Boyd was tuning in distant radio stations after dark from Chicago, Little Rock, New York, Seattle and all points in between. A very young Borys got in front of the crowds early spinning all the latest discs for the local bobby-soxers at the Wadena Legion Hall. 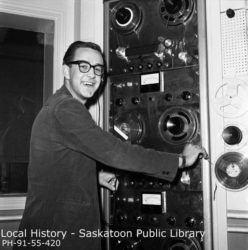 His gift of the gab and playing around with microphone’s led him to his first gig in the fall of 1959 at CFSL-AM Weyburn, Sask. This is where he changed his first name. The station manager said that Borys’s first name wasn’t “conducive to good English radio”. Borys is very proud of his Ukrainian heritage, and after explaining this change to his dad, he eventually agreed to be “Boyd”. 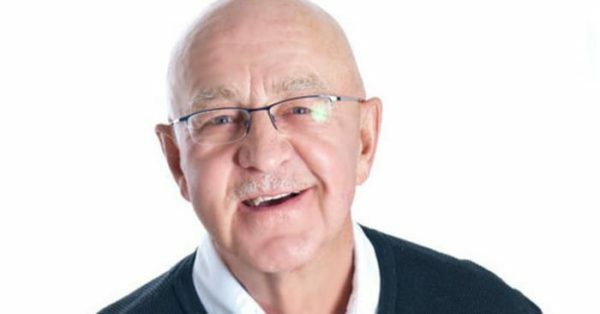 His second gig was in Moose Jaw, where he worked for both television and radio with CHAB for six months. In 1960, Boyd started taking courses at the University of Saskatchewan to upgrade his education and tried out for and got a weekend gig at CFQC-AM there to help fund his schooling. He ended up with a full-time job at the station but was soon off to Winnipeg. That phone call from CKRC was a life changer for him. In September 1963, KOZ opened up the mic with his fast talking and energetic rap. I’ve mentioned so many times how vibrant the Winnipeg music scene is. Always was and I would venture to say it always will be. The CKRC on-air announcers, including Boyd would always be out in the community on weekends MC’ing any ‘live’ shows that moved. Twice, in 1964 and again in 1965 the station sent Boyd to Toronto to see and report on the Beatles’ appearances at Maple Leaf Gardens. This man MC’d so many important concerts from the biggest stars over the years: Rock and Roll stars like Johnny Rivers, the Four Seasons, the Guess Who, Gerry and the Pacemakers and Fats Domino. When CKRC changed formats to Country, Boyd would be up there on stage bringing on country royalty like Conway Twitty, Johnny Cash, Kenny Rodgers, Randy Travis, the Oak Ridge Boys, George Jones and many more. The artists loved him and looked forward to seeing him when they came to town. During his thirty-two tenure at the station, he did “live” on location broadcasts from just about every corner of Manitoba and a big thrill was covering the Pope’s visit to Winnipeg in 1984. Boyd was someone that everyone wanted to be. A lot of lengendary broadcasters have come out of Winnipeg and most all were influenced by him. Boyd in much earlier daze…. 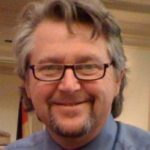 Boyd Kozak’s long-term community commitment is second to none working tirelessly for a wide range of good causes hosting Telethons for the Lions Club and the Children’s Hospital, MC for hundreds of fundraisers for Community clubs, Sports groups, Church organizations etc. He was rewarded with a special commendation for his efforts in aiding the building of a Family Room on the Children’s Ward at Winnipeg’s St Boniface Hospital. Boyd is especially passionate about funding for children’s charities like Ronald McDonald House in Winnipeg, as his little girl Laura sadly passed away in 1980. Other organizations he has touched over the years include the Winnipeg’s Health Sciences Centre, The Juvenile Diabetes Association, The Terry Fox Run, The C.N.I.B, The Alzheimer’s Society of Manitoba, Canadian Blood Services, the Manitoba Riding For the Disabled Associatin and the Kidney Foundation of Manitoba. And there are many more. In September of 2012, the Broadcasters’ Association of Manitoba so rightly inducted Boyd into their Broadcasting Hall of Fame. So how do broadcasters like Boyd stay on the air for 60 years? Because like him, those performers have never gotten stale, never stopped doing the work, kept up with technology and pop culture, remained trusted teammates, and continued to get out there and mix it up with the audience to ensure staying relevant in a quickly changing world. Boyd may have retired but I think all who know him would say there will be no grass growing under his feet. This is one man you can never take the community out of. Spendid Boyd! And happy retirement. Thank you, Boyd Kozak for being one of the “The Good Ones”. Feel free to like and share the Boyd’s positive story. Who is the subject of tomorrow’s JJ-365 Salutes? As they say, stay tuned. Yes “Borys” affected the career paths of many people. We were rooms mates for two years while attending University in Saskatoon. Personally I was a shy kid at the U of S and he encouraged me to go with him to join campus radio. As they say the rest is history. I subsequently spent 20 years in the broadcasting industry in Canada and the USA. First on the air and then consulting to one of our major television networks. But this is not about me, but rather about Borys “Pete Kozak’s boy from Wadena.” without his encouragement my life would have turned out along different paths and different places. Thank you old buddy. My you enjoy every day of your retirement.